The critically acclaimed, kid-friendly production The Orchid Show by The Neta Dance Company is a unique project that grew out of a collaboration between Israeli choreographer Neta Pulvermacher and the witty, idiosyncratic, English rock band XTC (Andy Partridge and Colin Moulding). The Orchid Show, written, directed and choreographed by Neta Pulvermacher is set in a whimsical, psychedelic and mirthful swamp, where other worldly beings, insects and ordinary mortals come to life and their stories unfold. Also collaborating with Pulvermacher on this work are costume designer and former company member Maile Okamura and lighting designer Erik Bruce. 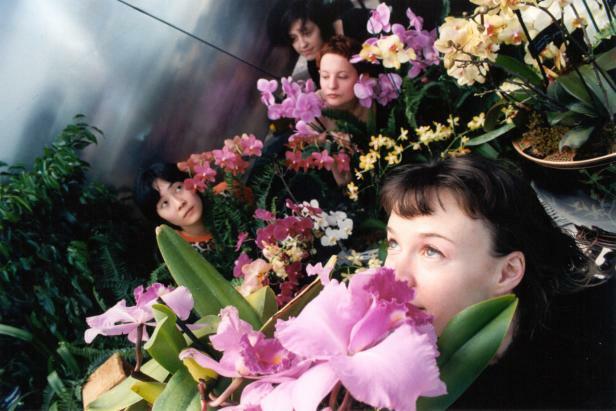 The Orchid Show, created in 2000/01 (before the release of the movie Adaptation), is a mad, horticultural lecture, on the world of orchids and the people who collect, adore and fetishize them. Company member, Jeremy Laverdure, portrays the devout orchidist and soap opera star, Jill St. John, as she unravels amazing facts, tales and anecdotes about these dazzling flowers. In Jill In Brazil, the second episode of the Orchid Show, our beloved host, Jill St. John takes the show on location to Brazil, where she visits the very green green house of Carlos Phalaenopsis, cooks Fox Tail Orchid Ice Cream, and gets lost in the Amazon rain forest while searching for her beloved orchid Eria. The program will open with "River Of Orchids", a tour de force solo, set to the XTC song, "River Of Orchids" in which Neta Pulvermacher is an "orch" moving about her swamp, dancing amidst her psychedelic lily pads. The company includes: Tracy Dickson, Isadora Wolff, Jeremy Laverdure, Jason Marchant, Brittany Reese, Tami Stronach and Neta Pulvermacher. RIVER OF ORCHIDS (2000) is a solo, set to "River Of Orchids" by the English Rock band XTC, featuring a magical and otherworldly water creature that dances in her psychedelic swamp, amidst white and yellow lily pads. The choreography, set and costume design are by Pulvermacher. The solo was Pulvermacher's first foray into the world of orchids and it was first performed in June 2000 as part of critically acclaimed The Orchid Show. The Orchid Show ...takes Israeli choreographer and her six immensely appealing dancers into the outer stratospheres of giddiness - inspired to the heights of whimsicality... (Jennifer Dunning, The New York Times). "Wickedly funny... a tantalizing, entertaining evening of dance theater, in which six performers transform themselves into orchids, swamp creatures and an assortment of indefinable otherworldly beings ... snappy music and vibrant costumes..." (Gia Kourlas, Time Out New York). "(In The Orchid Show) Neta gives freedom to her creative and colorful imagination, set to the unique sound of XTC, she designs a colorful swamp inhabited by juicy creatures where each, both insects and humans, are integrated and interwoven into a delightful and witty narrative...the atmosphere is amusingly psychedelic and the integration of video, costumes and music transforms the stage into a wild fairy tale" (Maariv America). "Pulvermacher's entrancing history of the feverishly adored bloom has crossover appeal: it should be a big hit with postmodernists, drag queens and children" (The New Yorker). 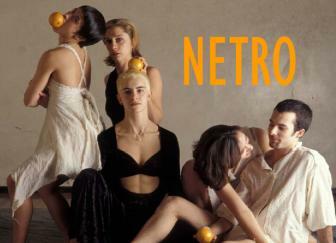 The Neta Dance Company is a unique dance/music/theater group that is dedicated to expanding the relevance and experience of dance. By re-thinking the traditional division of labor between visual artists, musicians, media makers and performers, the company creates a cinematic language through dance that gives expression to the human experience and condition. The company is noted for its work with musicians and composers such as John Zorn, Roy Nathanson, Anthony Coleman, the hip-hop violinist Miri Ben Ari, Yuval Gabay, XTC, Michael Wall, and most recently the renowned classical pianist Sara Davis Buechner. Since its inception, the company has toured throughout the U.S., Israel (Israel Festival), Poland (Krakow 2000 and The International Festival of Modern Dance in Bytom), Costa Rica (International Festival for the Arts) and to Belarus and Canada. In New York the company has been presented by Dance Theater Workshop, Danspace Project, The Joyce Theater, Symphony Space, Central Park SummerStage, the 91st Street Playhouse, The Kitchen, The Ohio Theater, The Knitting Factory, Merkin Concert Hall, The Flea Theater, among other venues. Neta Pulvermacher (artistic director/choreographer) was born and raised in Kibbutz Lehavot Habashan, Israel. She graduated from Juilliard in 1985. While at Juilliard, she studied with Bessie Schönberg, Alfredo Corvino, Janet Soares, Doris Rudko, Kazuko Hirabyashi and Hector Zaraspe, among others. Pulvermacher completed her Masters Degree in Dance, at Teachers College in February 2001. She founded The Neta Dance Company (formerly Neta Pulvermacher & Dancers) in 1987 and since then has choreographed over 50 works for her company. She has received choreographic commissions from Ballet Arizona (1995), Ballet New England (1997), Vertigo Dance Company (Israel) (1998, 89), The Repertory Project in Ohio(1999 & 2001), Ballet Wisconsin (2000), The School Ensemble of Dance Theater of Harlem (1991), as well as commissions from the American Dance Festival's Composers/Choreographers Project (1987) and The Yard (1987, 1994) Barnard College Dance Department (1991, 94, 99, 00, 01) Matte Asher Ensemble in Israel (2001), ASU Dance Department (2002), Desert Dance Theater in Tempe (2002), Alvin Ailey American Dance Center(2002, 2003 and 2004) the North Carolina School of the Arts, and most recently the Belarus Institute of Culture in Minsk. Pulvermacher will choreograph for Mira Nair's forthcoming film The Namesake. Her company has appeared at The Israel Festival, Krakow 2000 Festival, Bytom International Festival of Modern Dance, and at numerous venues throughout the U.S. and Canada. Pulvermacher received choreographer's fellowships from the NEA and NYFA (1994), a special choreography award from Bessie Schönberg (1995), and numerous grants from Meet The Composer, The Jerome Foundation, The Trust for Mutual Understanding, Arts International, Dance Magazine Foundation, The Mary Flagler Cary Charitable Trust, The Harkness Foundation for Dance, Bossak-Heilbron Charitable Foundation, and others. She has also taught master classes and workshops throughout the U.S., Israel and in Poland. Pulvermacher taught at Barnard College Dance Department and the Princeton University Dance Program and was on faculty at the American Dance Festival in 2001 and 2003. She is currently on faculty at Manhattanville College Dance and Theater Department and is an artist in residence at the Frank Sinatra High-school for the Arts in Queens. Residencies over the last two years have included Matan and the Mate Asher Ensemble (Israel), Hollins University in Virginia, and the North Carolina School of the Arts. Her company's recent projects included a New York season at the Flea Theater, featuring the premiere of Rainbow Girl, a tour to Costa Rica, and performances at Symphony Space and Princeton. The Neta Dance Company presented a month-long run of its critically acclaimed production of the Orchid Show at the Flea in February 2004 and together with The Flea Theater inaugurated a new series, “Flea Dance Conversation”, which presented the works of 30 mid-career and emerging choreographers in eight events in its first season and is presenting 36 choreographers in 9 monthly events in its current season.